With potential obstacles in the road, care-free pedestrians, oblivious animals and incompetent fellow road users; it is important to remain focused on the road ahead and concentrate at all times. Unfortunately, with technological gadgets becoming a larger presence in our lives there are now far more things to distract us when we are behind the wheel. This was confirmed by a recent survey which was carried out by price comparison company MoneySupermarket, which revealed that ten biggest distractions that are currently faced by motorists. Just creeping into the top ten is social networking website Twitter, with 1% of the motorists surveyed admitting to having ‘tweeted’ while driving. The dangers of this can not be underestimated, with celebrity plastic surgeon Dr Frank Ryan alleged to have lost control of his car and plunged off a cliff in Malibu while tweeting about his dog. Dr Ryan was not lucky enough to be able learn from his mistake, but perhaps it can serve as a warning to others. With an alleged 175 million users around the world, it is perhaps unsurprising that Facebook was named as one of the biggest motoring distractions. 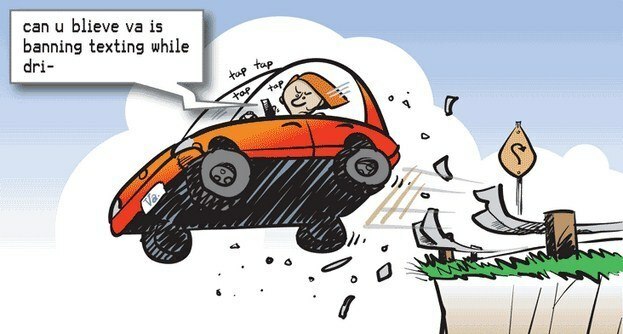 Despite this, only 2% of motorists admitted to having updated their Facebook profiles while driving. Unfortunately this is likely to be more a reflection of the number of motorists who own phones with social networking applications. It can therefore be expected that Facebook will only get higher up on this list in the coming years…that is unless Google Plus gains the upper hand. Vanity is not in short supply with motorists according to this survey, with 5% admitting to having applied make-up/aftershave/perfume or generally refining their appearance in the mirror while driving. Motorists considering this may want to remember that they won’t look to good if they are involved in an accident either. Brace yourself…5% of those surveyed admitted that they had dozed off while driving. This is a terrifying statistic, with road safety groups having spent millions on advertising campaigns warning of the dangers of driving while suffering from fatigue. If you suddenly feel sleepy while in the middle of a long journey, do not think that you don’t have any options other than to fight on; with a number of road side hotels offering cheap accommodation to motorists who are on the look out for a couple of hours sleep before continuing their travels. With the social networking applications which are available on phones having helped Facebook and Twitter make it onto the top ten list; it is unsurprising to find that texting has also made an appearance with 16% of drivers admitting to this offence. 21% of motorists admitted to having taken their attention off the road in order to examine an incident involving other road users; hence increasing the chance of being involved in an accident themselves. Mobile phones have been responsible for half of the distractions which have been named so far (Facebook, Tweeting and texting). This is therefore just another one to add onto the list, with 23% of those surveyed admitting to having made or received phone calls while behind the wheel. This act will not be viewed favourably by law enforcers, with fines of up to $500 possible in some areas. 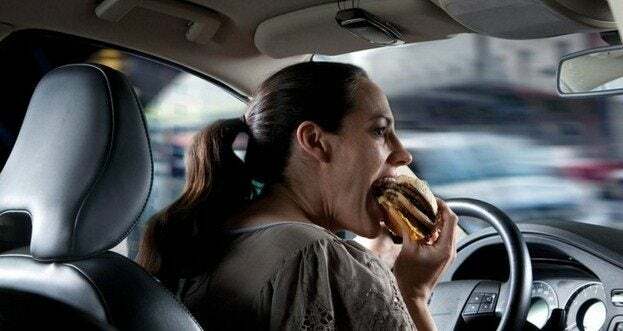 Over half of us have eaten while driving according to the results of this survey. This is perhaps unsurprising given our increasingly hectic lifestyles, with Facebook groups having been set up for people who openly admit to eating breakfast on their way to work every morning. In at two is drinking, but not of the alcoholic variety. 51% of the survey respondents admitted to having taken a hand off the wheel/gear-stick/hand-brake in order to consume a soft drink. Not only does it take your attention off the road and reduce your overall control of the vehicle; but it would also make a terrible mess of your interior if you were to be involved in an accident. The statement from the famous song “music makes the people come to together” appears to be surprisingly apt in this case, with 61% of motorists surveyed admitting to having found themselves being distracted while driving by music in their car. 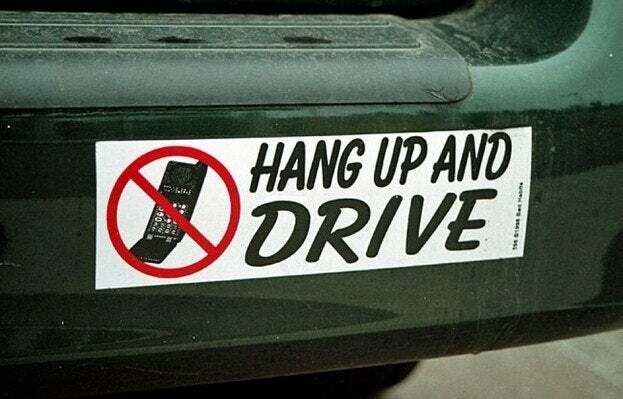 This has been a problem for many years thanks to radios and CD/cassette players; but is perhaps even more concerning now with more and more motorists choosing to use their iPods to play music in cars. No Comments on "Driven to Distraction – The Ten Biggest Driving Distractions Revealed"